This is a good time to be alive! It's a time for trusting your instincts, pursuing your passions and reveling in the spirit of adventure. 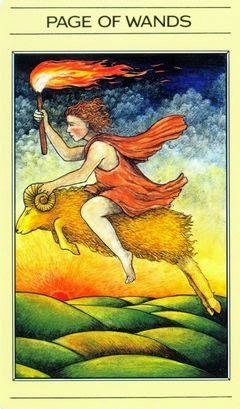 The Page of Wands is all about seizing the moment and embracing your experiences with every fiber of your being. It's about igniting the spark of passion and inspiration within you. It's about being enthusiastic and adventurous: putting yourself out there and showing the rest of the world what you're made of.